So when he was a United States Senator, ZTE was supposedly a national security threat, but afterwards, as a lobbyist, ZTE is now apparently “really try[ing] to get ahead of” concerns of being a national security threat. There could not be a starker example of how so many of our politicians are nothing more than corporate mercenaries who won’t hesitate to sell out their countrymen for a few extra bucks and a pat on the head. Of the nearly four dozen lawmakers who left office after the 2016 election, one-fourth stayed in Washington, and one in six became lobbyists, according to an analysis by The Atlantic. The numbers were even higher for those who departed after the 2014 midterms: About half of those former members stuck around, and around one in four became lobbyists. Lobbying remains the single most popular post-Congress career choice for retiring members. Lobbyists are a popular target these days, for good reason. Professors at Georgia State University and the University of Exeter in the UK, tracked congressmembers from 1976 to 2012, and found that roughly a quarter of politicians in each party become lobbyists, and the commonality between them is that the most powerful congressmen benefit from this pipeline to K Street. It’s an unimpeachable fact that the United States government works on behalf of the most wealthy and powerful—often against the interests of the vast majority of the populace. That’s thanks to the influence exercised by the most wealthy in our nation’s capital. Jack Kingston’s framing of the job as “can you get a door opened” is exactly right. D.C. lanyards dress all this up in language like “policy wonks,” but at the end of the day, the gig is just doing whatever you can to push your boss’s interests—even if they’re a national security threat like ZTE. Not every lobbyist is bad. Without the basic act of lobbying, government could not get things done. Certain subject matters do need experts pushing for their implementation, as not every policy is obvious on its face. That said, we are way through the looking glass here. “Lobbying” and “campaign donations” are nice little fairy tales that Americans tell themselves about corruption. We are largely nothing more than a kleptocracy who cloaks it under an avalanche of arcane tax rules and the opacity of LLCs and real estate. The joke about America being an insurance company with an army is true when you look at total government spending, and that gives you a good idea of what special interests are most powerful on both sides of the aisle in D.C. The only expansive bill that the Republican Party passed while in complete control of the government the last two years was a massive and massively unpopular tax cut for the richest in this country (and outside it). Now, spineless husks like Marco Rubio are decrying the reality which everyone knew they were bringing upon us. That’s the product of lobbying. It doesn’t matter what the Republican voters want, the Republican Party’s first priority was to give their “donors” a return on their investment. The Democrats aren’t much better. They did something similar when they last had major power, as Nancy Pelosi passed a PAYGO law in 2010 that requires any rise in the deficit to be offset with proportionate spending cuts or tax increases. She is now arguing that Democrats need to pass a PAYGO rule that allows her to bypass the law, otherwise the Trump administration would have the power to overrule pretty much any liberal legislation. Restraints like this on government spending only have one major constituency: the donor class. No one in the Democratic grassroots was clamoring for PAYGO (raise your hand if you’ve even heard of it before), and tax cuts in general are always popular with Republicans, but support for this latest round of cuts dipped among all voters, and the GOP barely ran on—and mostly ran away from—their signature legislative accomplishment in the 2018 midterms. 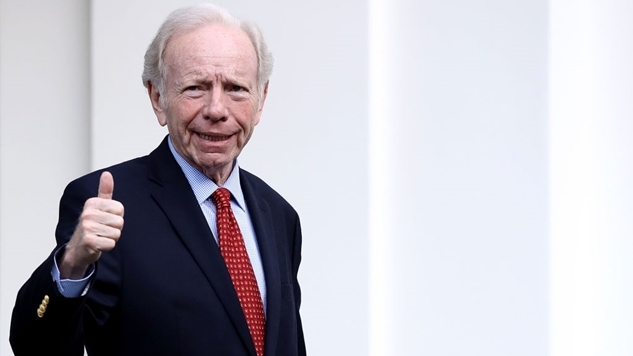 Regardless of who is in power, our political system largely does not exist for us, but for our oligarchs, and no one embodies that spirit better than Joe Lieberman. In 2013, Lieberman registered to be a lobbyist and joined the white collar crime group at Kasowitz, Benson & Torres. Lieberman has not registered as a foreign agent, despite working on behalf of a company that everyone agrees is an arm of Chinese intelligence and a serious national security threat to the United States. While this is like business as usual in Washington D.C.—it’s a step above the typical corruption given the explicit threat that ZTE poses to our national security. Part of what makes the Michael Flynn situation so extraordinary is that for once, the Department of Justice is going after Foreign Agents Registration Act (FARA) violations, and with any hope, Lieberman will one day face similar scrutiny over ZTE, and any other employers in the shadows that we may not yet know about.